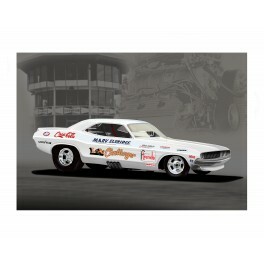 13 x 19 Giclee print of LA Challenger. Car is on display at the NHRA Museum. Print is designed to fit an 18 x 24 frame.